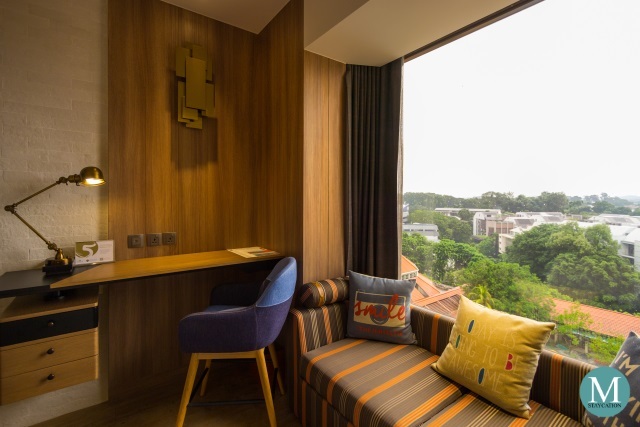 The Deluxe Room is the higher of the two guestroom categories of Hotel Jen Tanglin Singapore. It measures 25sqm and is located on the higher floors of the hotel, offering unobstructed and panoramic view of the city. 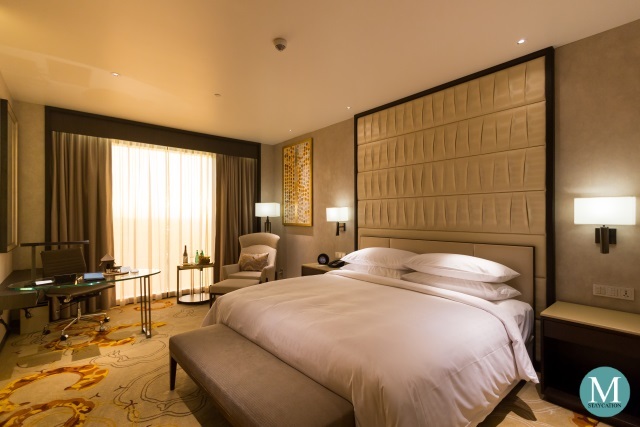 The Deluxe Room is furnished with a King Bed. 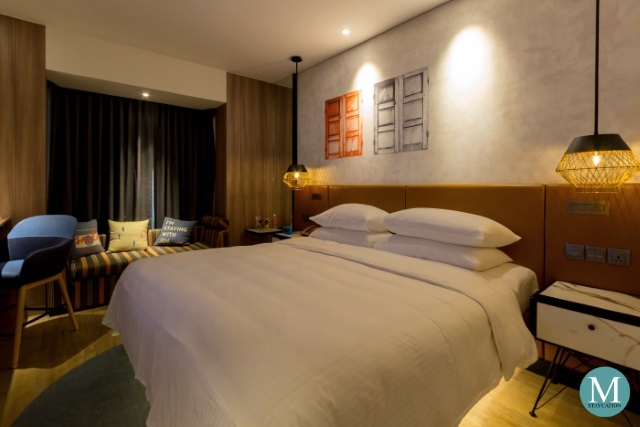 The warm color theme of the lobby is also expressed inside the guestroom. 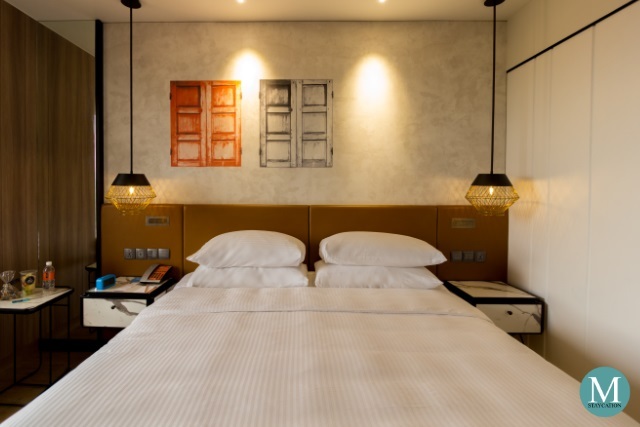 The beige wall, the brown headboard, the orange wall art and the copper bedside lamps add warmth and coziness to the room. 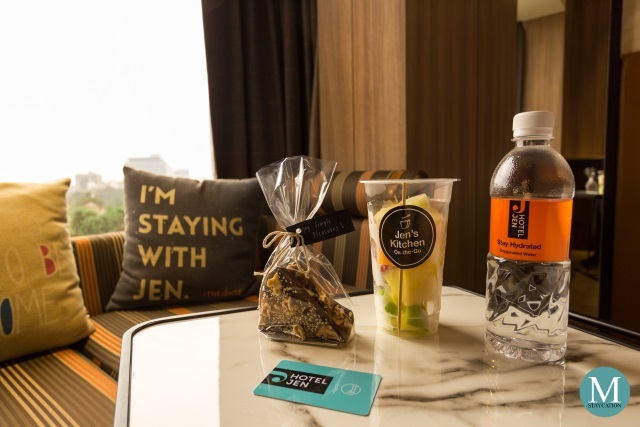 Similar to my staycation experience at Hotel Jen Manila, I was also welcomed in my room at Hotel Jen Tanglin Singapore by a container of cubed fresh fruits and bottled water. They even added a bag of chocolates, how sweet! The room is also furnished with a couch placed next to the window. This is where I spent sometime to settle to my room. There's also a writing desk and chair at one corner of the room. Since I was on a staycation, the writing desk functioned as a charging station of all my gadgets. Thankfully I didn't have to use my universal travel adapters because there are already two universal sockets installed next to the writing desk. No password was needed to sign-in to the complimentary WiFi internet access while inside the hotel, including inside my room. I also loved the movable side table which allowed me to work with my laptop while seated on the couch. 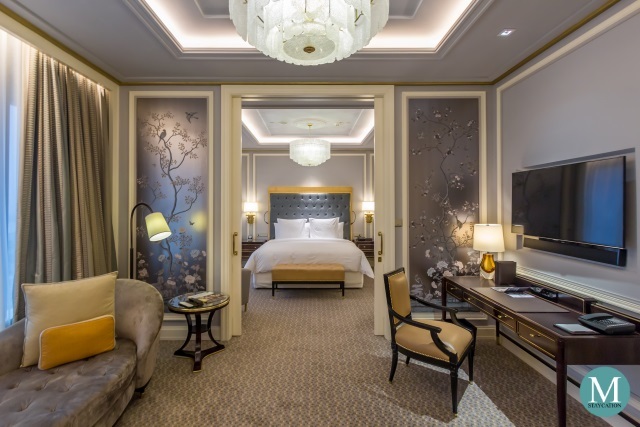 Call it workation, bleisure or anything, the bottom line is that functionality, customization, comfort and convenience were the top considerations when the room was designed. 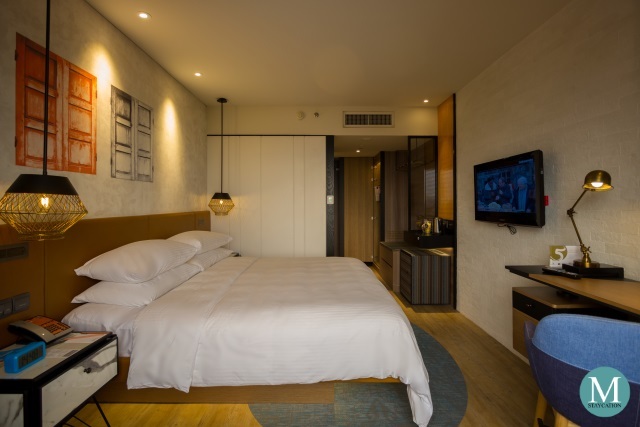 At 25sqm, the Deluxe Room was comfortably sized with ample space for me to move around. 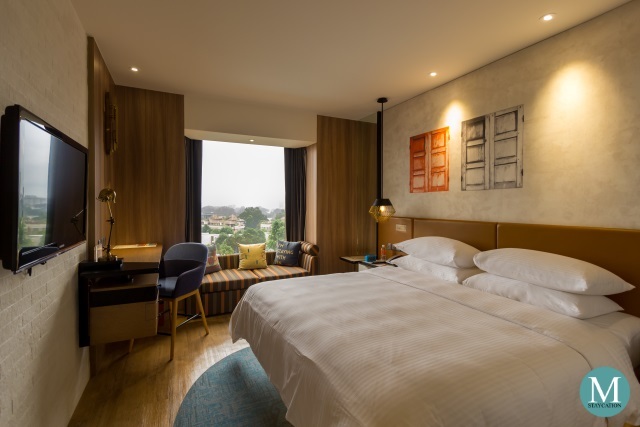 As with any staycations, sleep quality is one of the biggest factors to consider when choosing a hotel. 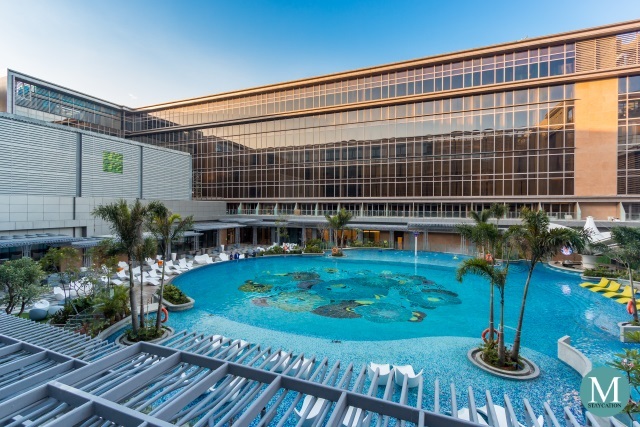 I have stayed in a number of Shangri-La Hotel properties in the Philippines and I am very satisfied with the consistently good quality of sleep I had. The bed in my room here at Hotel Jen Tanglin Singapore did not disappoint my high expectation. 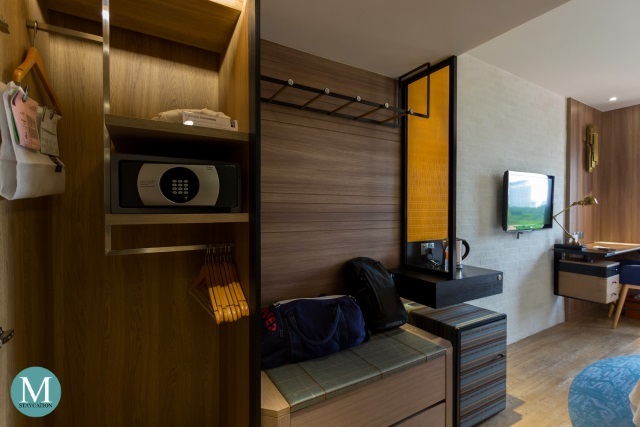 Other in-room amenities include a wardrobe, an electronic safe, a luggage rack, an electronic kettle and a mini-refrigerator. 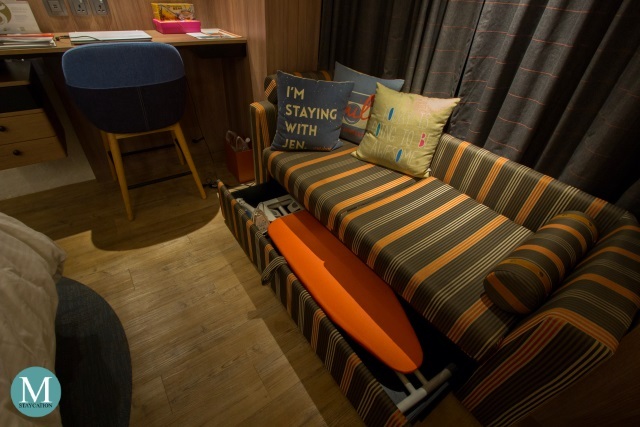 Business travelers and long staying guests will be pleased to know that there's also an iron and ironing board smartly concealed under the couch. In case you didn't notice, there is no minibar inside the room. 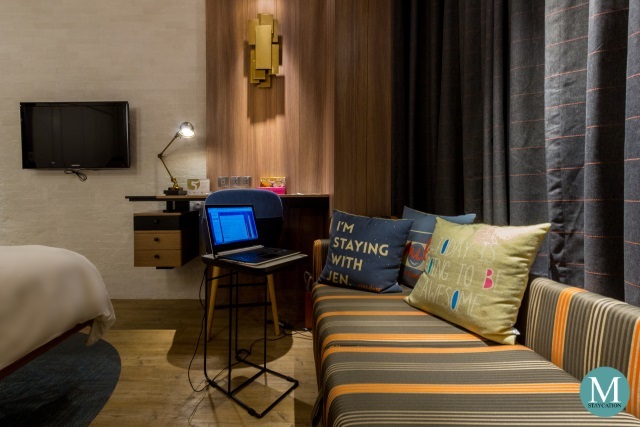 This Hotel Jen concept is based on a study which showed that today's travelers rarely consume anything from the minibar. Should you get hungry in between meals or just feel like having a coffee, you can always call room service or head to the cafe located on the ground floor. The bathroom was reasonably spacious considering the limited floor space of the room. 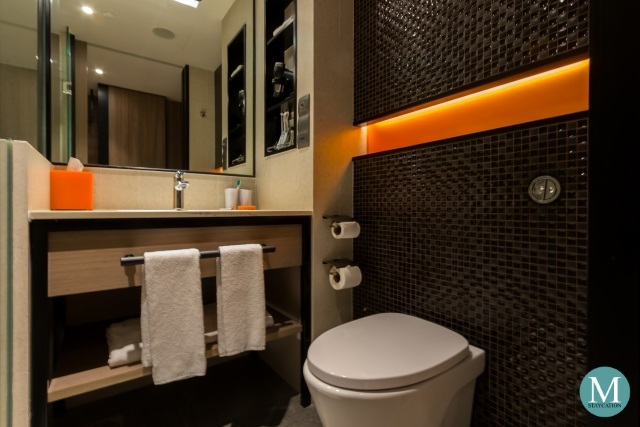 There's a single sink in the middle, with a walk-in shower on one side and the lavatory on the opposite side. 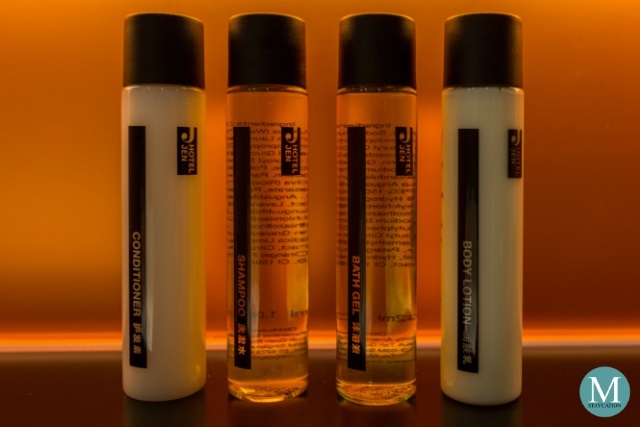 Standard Hotel Jen branded body and bath amenities are also provided, including hand soap, bath gel, shampoo, conditioner and body lotion. The walk-in shower has a rainfall shower head and a handheld shower head. Water pressure was excellent during my whole stay. 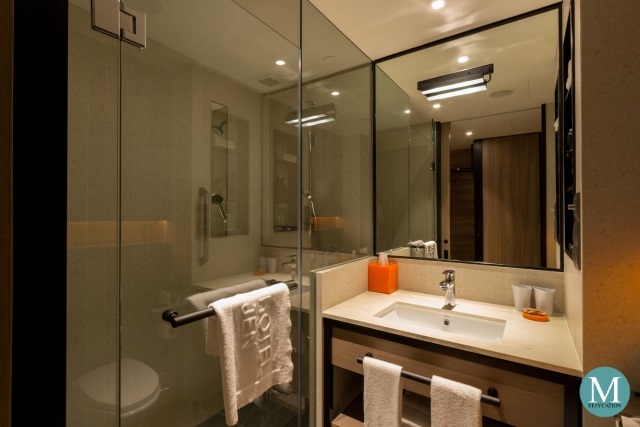 Hot and cold shower is available and water temperature was easy to regulate, Clean towels were provided including bathing towels, hand towels and face towels. The flash toilet looks well maintained with ample toilet paper available. However, there was no bidet spray installed next to the flush toilet. After freshening up with a warm shower, I was ready to call it a day. When I was about to dim the lights, I noticed that my bed seemed to be hovering above the carpet. Remember the sports cars with under chassis lighting? That's the same futuristic effect my bed had.